It was a nice try, but it won’t work -- that’s what an influential congressional agency is telling District voters. Those voters last April approved a referendum with more than 80 percent of the vote to exempt the city’s local budget from congressional oversight. But an opinion Thursday from the General Accountability Office (GAO) said the matter had no legal standing. “We conclude that provisions of the Budget Autonomy Act that attempt to change the federal government's role in the District's budget process have no legal effect,” the GAO said. The House Appropriations Committee, which oversees the city’s $11 billion budget and had asked for the opinion, said it “concurs” with the report. The GAO decision is a blow to District Home Rule advocates who had contended that the referendum would free the city from routine, line-by-line review of city budgets by Senate and House committees. The GAO said that the Home Rule charter, passed in the early 1970s, gives the District “substantial powers of self-government,” but the Congress retains ultimate authority over the federal city. Congressional officials say the GAO finding does not the effect of a court ruling. But they said it strongly influences how Congress acts. They say the District could run afoul of federal law if it were to spend funds not approved by Congress. "While we are disappointed, we are not surprised by the GAO's legal opinion as it mirrors the opinion that the District's own attorney general rendered to the Board of Elections. While we will continue working to secure both budget and legislative autonomy for the District, we intend to comply with all valid federal and local laws." D.C. Congresswoman Eleanor Holmes Norton has been seeking with mixed success legislation that would allow the District to spend its funds without detailed congressional review. Chairman of D.C. Council Phil Mendelson echoed Norton's reaction, citing the GAO's decisions having no legal effect. “Given the ambiguity caused by GAO, Congress should take this opportunity to acknowledge explicitly the right of District residents to determine how their tax dollars should be spent," Mendelson wrote. 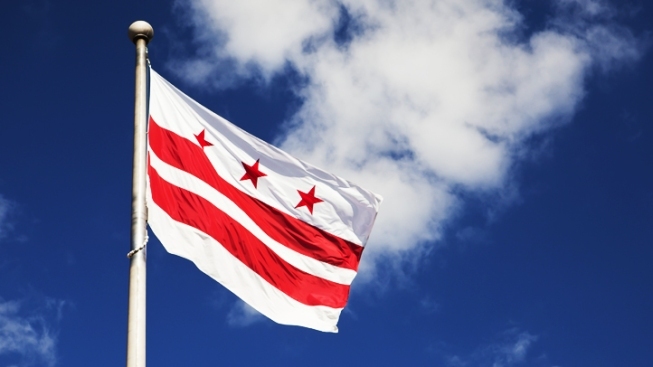 “I strongly believe that the amendment to the D.C. Charter, to provide the District with autonomy to spend its own local dollars, is right, legal, and proper."